Can anyone help me with syns for Asda butchers Mediterranean pork loin steaks. I've attached a photo with nutrition info each steak will weigh approx 110g. And can anyone recommend a low syn marinade or meat powders you can get in packets, I find plain meat really boring. The Schwartz Perfect Shake things are all syn free. 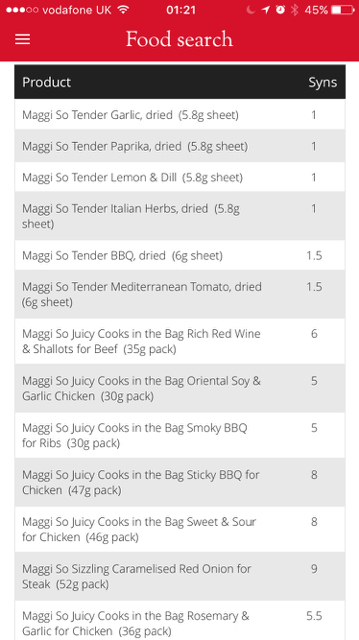 I really enjoy the Maggi So Tender sheets, and they average 1 syn per sheet. They're really tasty. 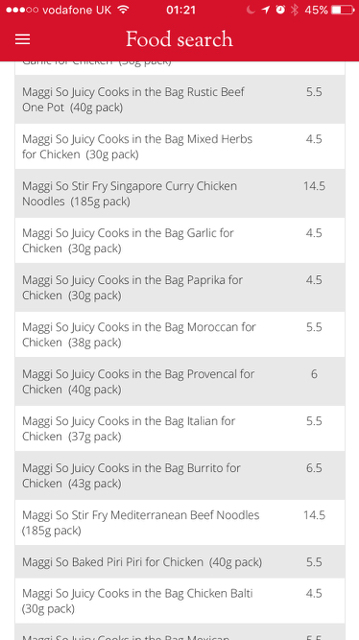 The other Maggi things aren't bad to be honest, although they're higher in syns. Find more posts on help, syns.